Re-starting the thread for the 3rd time!!! Car pools, student bus, band buses, football buses.......here we go BLAZERS!!! Last edited by BlazerLady; 10-15-2016 at 06:04 AM. Always interesting to follow former Valdosta St coaches in their careers and what they are doing. 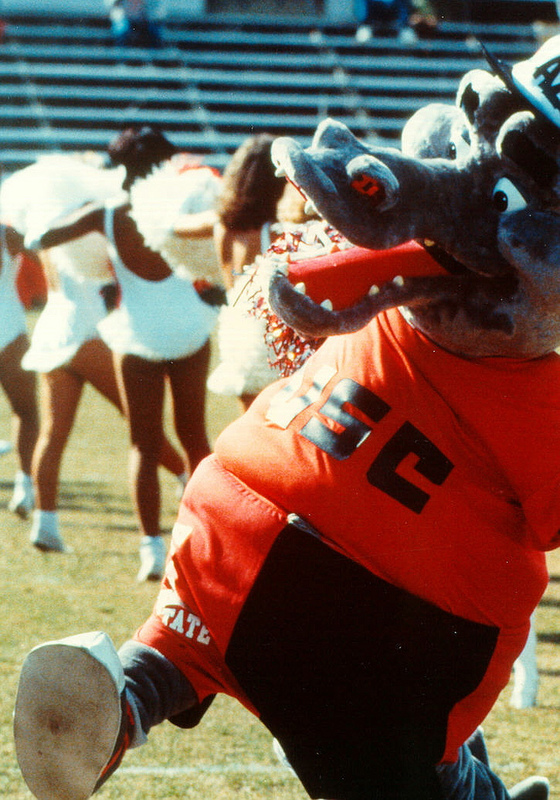 I saw that Georgia Southern is playing tomorrow night at Arkansas State. Former VSU HC is co-OC at Ga Southern and is coaching against his former OC and DC at VSU in Joe Cauthen (DC at Ark St) and Buster Faulkner (OC there). Game is at Arkansas State. Should be a good one. That would be cool to watch!! Edit: I see that it is on ESPN2 tomorrow night, 8pm. Basketball is starting soon.......get your tickets!! Next week is Homecoming Week. Theme is The Blazin '80's! We need to bring in an updated version of the old blaze... love the dragon aspect! I have researched some fierce looking dragons in the past. Some cool pictures out there. I imagine this costume is a bit hot to wear. Blaze needs some bad looking wrap around sunglasses. Maybe Costa could become Blaze's sponsor. Tonight is the Carnival on the front lawn from 5-9pm. Tuesday night is free admission to Wild Adventures, and Downtown Get down with the band and cheerleaders. Merchants are having a store window decorating contest. Thursday is the Black Light Pep Rally and Lip Sync Contest, 7pm. All week, follow social media to look for Rubik's Cubes(80's theme homecoming) for prizes. Blaze and some of the Red Hots are getting excited about Homecoming!!! 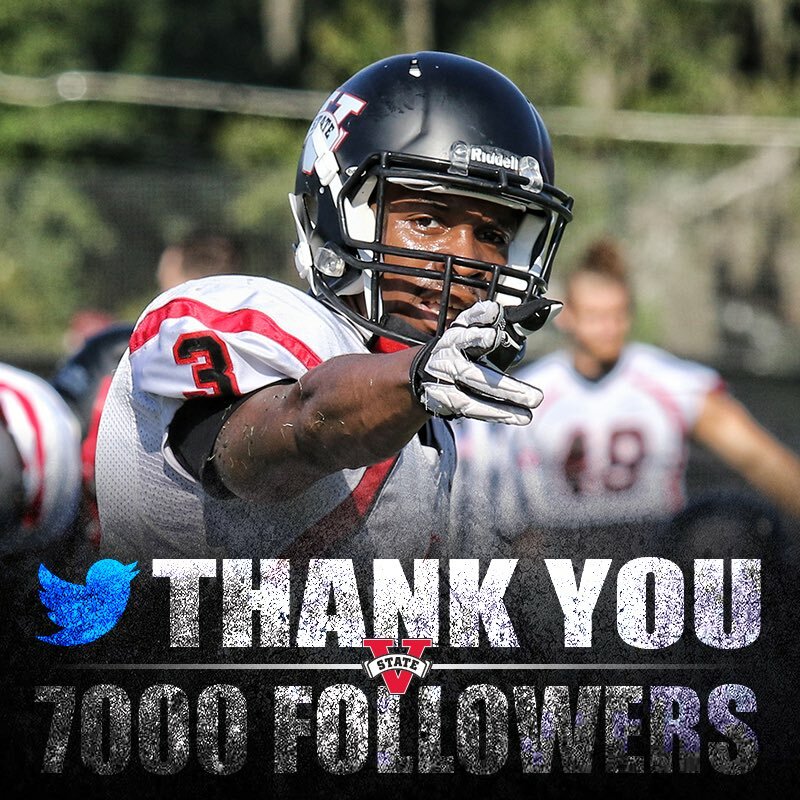 VSU Athletics just hit 7000 followers on Twitter!! The Black Light Pep Rally, 7pm..........Get your glow on!! !